I thought I would share another shot of the tree frog. She was creeping down toward her intended safe haven. I am grateful that Bridger spotted her for me and called me out to take her photo. Surely there are many of these frogs in the trees around us, yet we so rarely see them. I get excited when I see wild animals, and I hope I always will! 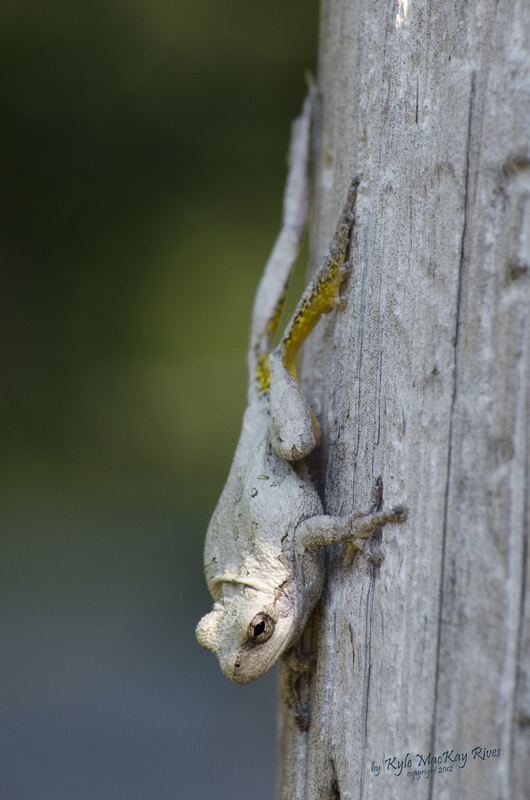 This entry was posted in photography and tagged 2012, frog, nature, outdoors, photo, Photograph, Photography, summer, tree frog.